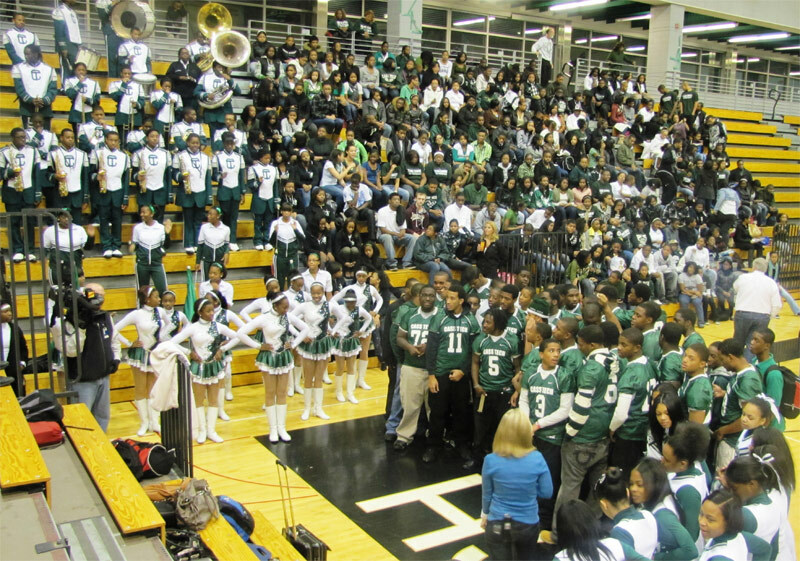 Fans of the Detroit Public School League might find this to be a good-news, bad-news weekend. The bad news is that at least one of the PSL’s three remaining teams in the Michigan High School Athletic Association football playoffs will see its dream of a state championship come to an end. But, the good news is that two PSL teams are meeting in a football regional final, and that news far outweighs the bad. It’s a win-win situation for the PSL Friday at 7 p.m. when Crockett (10-1) plays host to Central (9-2) at Osborn High School. The winner advances to the state semifinals, just one victory from the Division 4 championship game at Ford Field. Coach Eric Smith’s visiting Trailblazers won the PSL “B Division” city championship and are hoping to add another trophy after winning the district title last week with an 18-7 victory against Dearborn Divine Child. Central has a tough hurdle in Coach Rod Oden’s Rockets, who defeated previously unbeaten Detroit Country Day 20-14 last Friday to capture the program’s fourth district championship. Crockett’s only loss was in the PSL “A Division” city championship game against Cass Tech, and Central also lost to Cass Tech in the second week of the regular season. 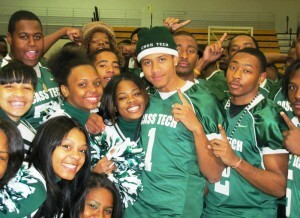 Coach Thomas WiIcher’s unbeaten Technicians (11-0) continue to roll in the Division I state playoffs. 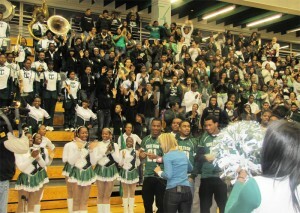 Last Saturday, they defeated visiting Dearborn Fordson 32-13 to claim the district title in front of a packed crowd. The Technicians expect a sellout crowd this Saturday at 1 p.m. when they face Macomb Dakota (9-2), with the winner advancing to the state semifinals — and Ford Field within sight. 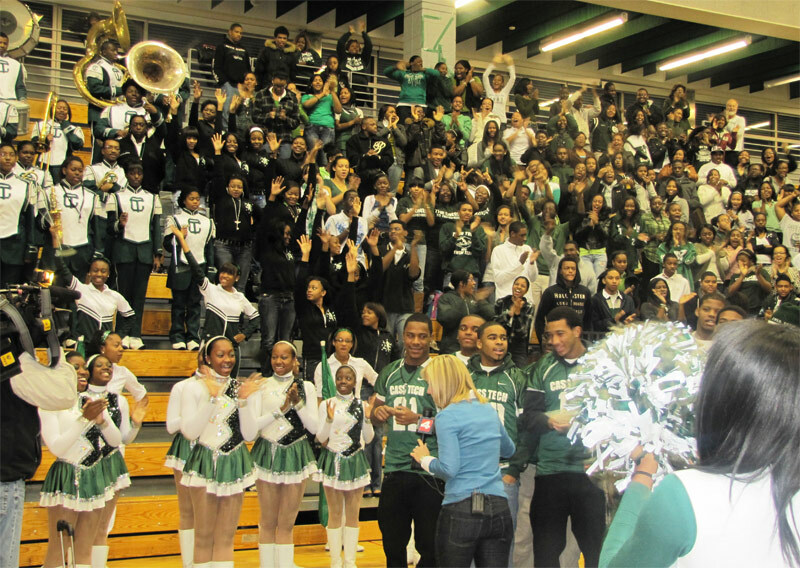 Cass Tech’s school pep rally was featured live this morning on WDIV-TV Local 4’s Friday Football Frenzy. 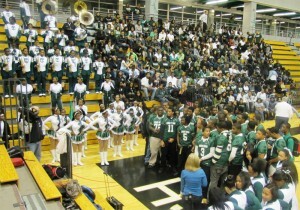 The players, cheerleaders, dance team and band gave viewers an eyeful and earful of school spirit.